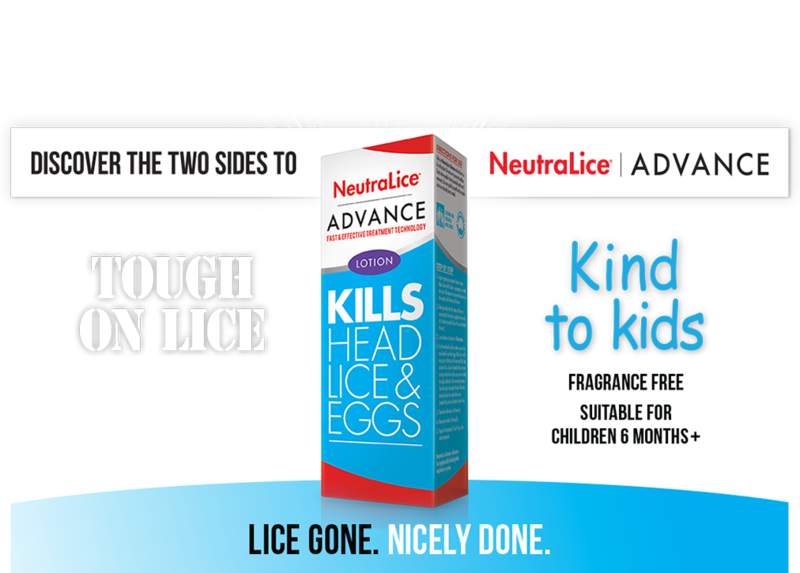 NeutraLice Advance is a fast and effective treatment technology that is clinically proven to be more than 97% effective in killing head lice. 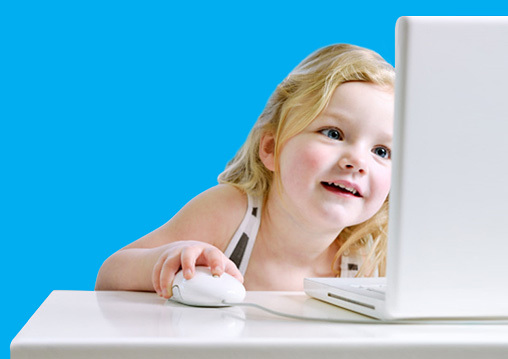 Head lice can spread easily, especially among children. If your child is complaining of an itchy scalp, or there’s been an outbreak at school, NeutraLice Advance head lice treatment is a fast and effective treatment. It’s clinically proven to kill head lice and eggs by suffocating them. Head lice are becoming resistant to some pesticides, but resistance has not been reported to be a problem with suffocation products. Head lice live in the human scalp and hair, feeding and laying their eggs daily. These lice eggs (nits) are most often found in the hair at the back of the neck or behind the ears. 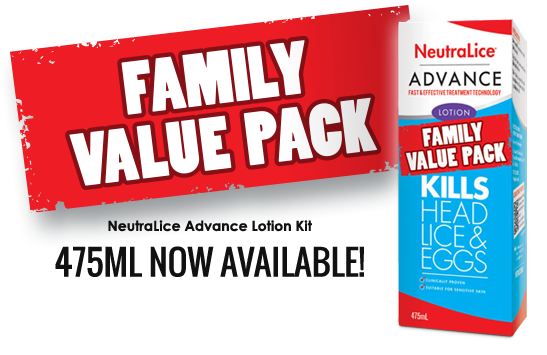 Break the head lice cycle with NeutraLice Advance: Tough on Lice – Kind to kids.